Information Junk: Happy New Year! Ice-swimming club the Berlin Seals took its traditional new year dip in sub-zero temperatures in a lake in Germany. 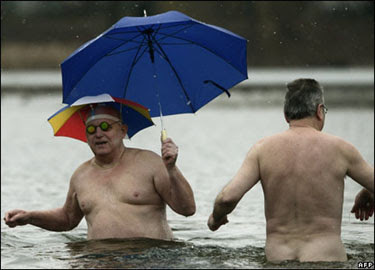 From a BBC photo gallery of New Year's Day swims. those guys are NOT hawt!